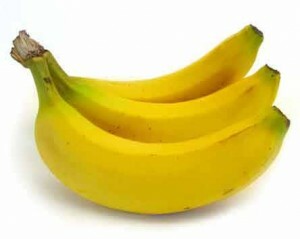 Bananas suddenly became a luxury item when Cyclone Yasi ripped through Queensland banana plantations in early February. It was estimated that around 75 per cent of the banana crop, valued at around $350 million, was destroyed. About 20 per cent of the sugar crop was also lost. Cyclone Yasi was the strongest cyclone to hit North Queensland since 1918. In that year, a major cyclone in January had flattened Mackay, while another in March killed 37 people in Innisfail and up to 60 more in the surrounding area. The Innisfail cyclone caused damage estimated at £300 000 and a 10 000 ton shortfall in the cane crop. While thousands of people were evacuated from Cairns in anticipation of Cyclone Yasi, the storm struck further south, crossing the coast at Mission Beach near Cardwell. Only one person died, asphyxiated by generator fumes in the building where he was sheltering. Two months after Yasi, bananas were being sold for up to $14.99 per kilo in fruit shops, while Coles and Woolworths were selling them for between $11.99 and $12.99/kg. The fruit was coming from northern NSW and the Atherton Tableland in north Queensland. The cyclone left affected growers without income until August, when some fruit was again ready for harvesting. Five years earlier, in 2006, Cyclone Larry had wreaked even worse damage, uprooting the banana trees entirely.